Proceeds from the run/walk support local youth sports programs for local children in need. 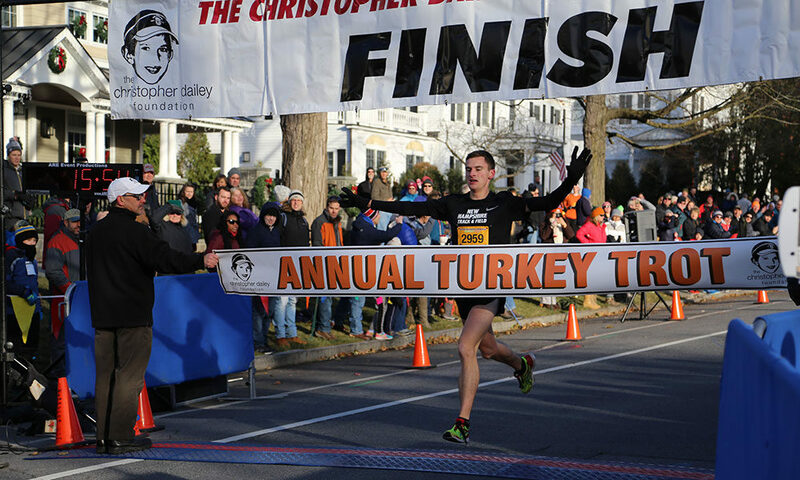 Long before dinner on Thanksgiving day, more than 3000 runners and walkers from Saratoga Springs and the surrounding region will rise early and participate in the 2018 Chris Dailey Turkey Trot. The annual 5K run, now in its 17th year, begins at 8:30am on Broadway in Downtown Saratoga, snakes through Skidmore College, then makes its final turn down North Broadway. (It’s not an easy race by any stretch of the imagination; it’s rather hilly.) All proceeds from the event go to the Christopher Dailey Foundation, which offers youth sports programming through its Christopher Dailey Memorial Youth Gym in Gavin Park in Wilton. Throughout the year, the foundation also makes donations to other local youth sports initiatives and organizations that help children with special needs and those in need of economic assistance. And we’re talking big-dollar donations: $55,000 to the Double H Ranch in Lake Luzerne (which offers services to children with life threatening illnesses), $25,000 to Camp Spectacular and $5,000 to Y-Knot Sailing at Camp Chingacook, Lake George for disabled sailors. Now, if you’re from outside of the Saratoga area and have competed in the race in recent years, you’ve probably not thought twice about the name in the race’s title. 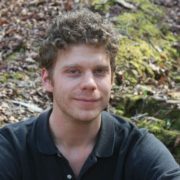 Who is Chris Dailey? I’m glad you asked. He was an active, sports-loving third grader at Dorothy Nolan Elementary School, who unexpectedly passed away the day after Thanksgiving in 2001. He was just eight years old. In the wake of Dailey’s tragic death, his parents, Mark and Maria Dailey began laying the groundwork for some way of honoring their late son—a way of transforming their loss into something positive. The following year, the Daileys founded the Christopher Dailey Foundation, with an initial goal of subsidizing a youth athletic center in their hometown of Wilton to honor their late son’s memory. In addition to the gym, the Daileys launched the first-ever Turkey Trot in 2002, which at that point, started in the Daileys’ Wilton neighborhood and attracted 350 runners. This year’s event is expecting more than 3000 runners—a nearly tenfold increase in participants in 16 years. “It’s gotten to be a meaningful event for us, but certainly it’s also gotten to be a nice tradition for a lot of families to start their [Thanksgiving] day with their community,” says Mark. In fact, the Turkey Trot grew so big so fast that the Daileys were able to build that memorial gym within five years of that first run. (The Christopher Dailey Memorial Youth Gym opened its doors in March 2006 at Gavin Park in Wilton.) “When we embarked on this foundation project, we didn’t know we’d end up building the gym a mile from our house, which worked out nicely,” says Mark. After paying for the construction of the gym, the Christopher Dailey Foundation soon handed over management of it to the town of Wilton. The only stipulation was that Wilton name the gym after Chris, which of course they did. Registration for this year’s Chris Dailey Turkey Trot is $25, and runners can sign up online through noon on Tuesday, November 20. (Click here to register.) The last chance to register must be done in-person at the Saratoga Hilton Hotel on Wednesday, November 21, from 4-8pm.